This was my first visit to Crete, and I enjoyed it very much. 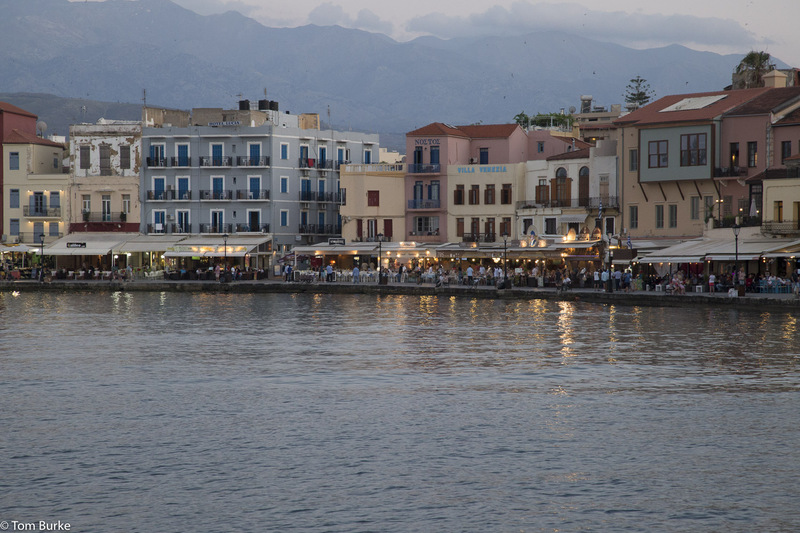 I specifically wanted to stay in Chania – it’s a port on the northern coast with a long history, stretching back to the Hellenistic times (pre-Roman empire). Most of what you can see in the older areas is newer than that, of course – but still dates, in some cases, from the 16th and 17th centuries. There are also a number of small historical museums in the town and I enjoyed visiting all of them. Mainly, however, it’s noted for the harbour and the old town behind the harbour – small, pedestrian-only lanes, with restaurants and small shops lining them. Further behind that is a newer town (19th and 20th centuries), including an interesting covered market. I stayed in a hotel in an old building in the old town, but I also did a couple of trips out of Chania, to Rethymno (another port some mile eastwards) and to the ruins of Knossos and Heraklion, the island’s main town. These were good days. Unfortunately, I also had 24 hours of illness during this holiday – I was stuck down with a tummy bug. But I certainly enjoyed this visit, and decided when I came home that I would go back – hence the visit in 2016. Here’s a link to the archive for this trip.